I am seriously torn about this book. 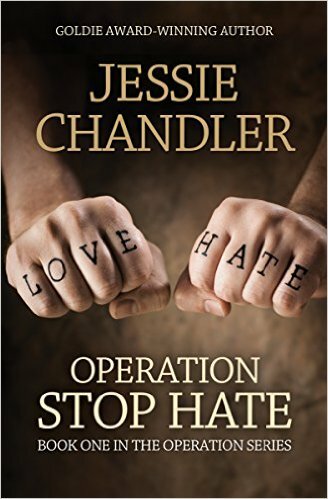 I like Ms. Chandler's writing style and being in her main character's head, but I have some big issues with some of the plot points that made it impossible for me to finish reading it. I was excited to read it, although also worried that this was not the time to start reading a book that deals with mass shootings and terrorism--not with there being more mass shootings this year than there have been days. I eventually decided to give it a try because at this rate, there would never be a good time to read it. Even yesterday as I tried to get through it, there were reports of an active shooter on the campus of Arkansas State University. Because of course there was. Cailin McKenna loves her job with the NPIU--National Protective Investigative Unit, but it often has her dealing with things she would rather not have to contemplate. Case in point: she's currently working with the police department, trying to find a connection between two school shootings in a matter of days. To make matters worse? She knows the shooter from the most recent case. When it appears that the connection between the shootings is music from a Neo-Nazi label based out of Minneapolis, Cailin and the others in her unit search for more clues that a hate group is responsible for the shooters' actions through the messages in their lyrics. The thing that bugs me the most is that music is apparently to blame for two teenagers shooting up their schools. Yes, music can make you feel a certain way--there's a reason why I have a Cheer Me Up Spotify Playlist--but music cannot force someone to pull the trigger just as violent video games, television shows, and movies cannot. The thing is that music has been blamed for so many things over the years. People think that it started with Rock music, but that's not true. Twenty years before rock was considered a tool of the Devil, the older generation said the same thing about Frank Sinatra and Dean Martin (yes, the Rat Pack sewed discord, according to my Great Grandparents' generation). In earlier years (and again later on), music was blamed for suggestive dancing (Don't we all love Dirty Dancing?). In the early 19th Century, women had to have permission from their parents to dance a waltz before heading out onto the dance floor with potential suitors because that type of dancing involved being held much closer than older styles (aka the more appropriate kind of dancing), which supposedly made everyone horny. Music was blamed for this because if waltz-like music wasn't made, then no one would be waltzing. Oh, those strict Regency morals. Don't even get me started on the Rock Around the Clock riot in Munich back in the mid-1950's. Obviously, Bill Haley and the Comets wanted people to tear each other apart. That's totally what that song is about, right? Then, of course, there were the 80's when the Reagan and Bush administrations thought that heavy metal music could contribute to delinquency of minors and suicide. There was even a court case against Judas Priest because two kids committed suicide after listening to their album, Stained Glass. In the 90's when I was still in elementary school everyone blamed Marilyn Manson music for the Columbine School Shooting--even kids in my class (mostly because that's what they heard from their parents, who were just aping the media's stance on the situation). Marilyn Manson did not cause Columbine. Wagner did not cause Nazism despite being Hitler's preferred music. I get that everyone is entitled to their opinions, no matter what erroneous information they are based upon, but should anyone be spreading such nonsense as music causing violent behavior? I think that is almost as dangerous is spreading hateful, Islamophobic rhetoric despite all evidence pointing to the exact opposite of anything one specific Right-Wing Nutjob claims. I did have other problems with this book; pacing being a big one. The prologue has you at the edge of your seat as you're in the shooter's head while he's killing his classmates. Then, as soon as the first chapter starts the action stops, focusing more on Cailin's personal life than on the details of the case. Now, if this was listed as a romance, I wouldn't have a problem with this, and when I'm reading romantic suspense, I tend to get annoyed when there is a greater focus on the procedural aspects of the case than on the romance. This, however, is labeled as a mystery/thriller. I want to know about the case, not about Cailin's psycho ex-girlfriend. Another big problem was that this is listed as being the first book in a series, but it doesn't read like that. Instead, it feels like you're dropped into the middle of a series. There are all kinds of hints at this other big case that Cailin was involved in and about the romance that developed with her current girlfriend, Alex, during that case. It just doesn't make sense. I kept having to go back to the book's Netgalley page to make sure that it did in fact say that this was the first in the series. Combined with everything I mentioned in yesterday's Video of the Day post (odd pop culture details that fit more with 2004-2005 than with 2014-2015), this was just too much for me. It really is a pity because I wanted to like this so much.